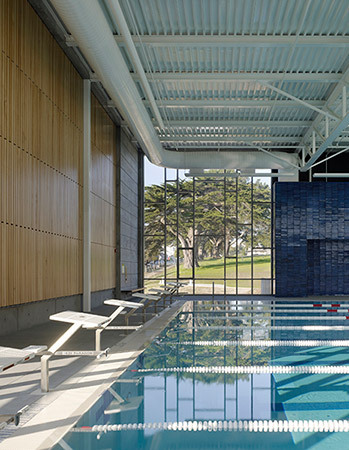 Our design for this new recreation and competitive-use indoor pool was driven by the building’s unique site in Larsen Park and the client’s desire for natural day lighting and a durable, low-maintenance facility. 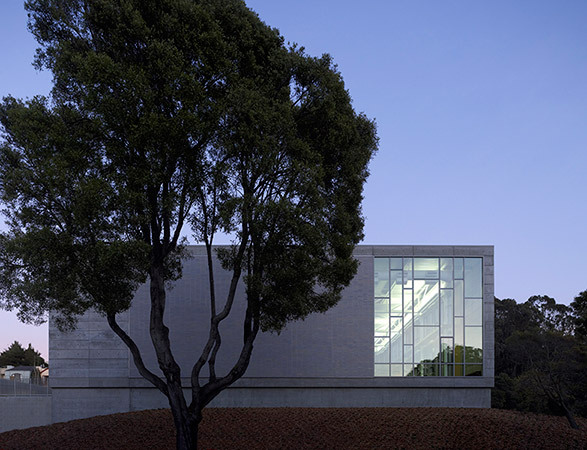 The building nestles into the sloped landscape to the north and opens to the park to the south. 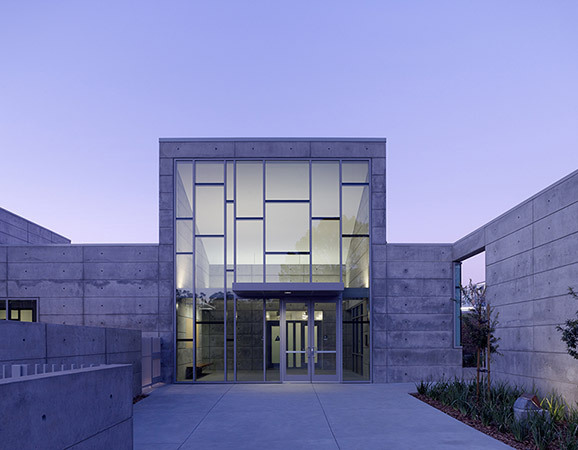 The entry and adjacent courtyard were developed to create an outdoor gathering space protected from the wind and facing south to the sun. 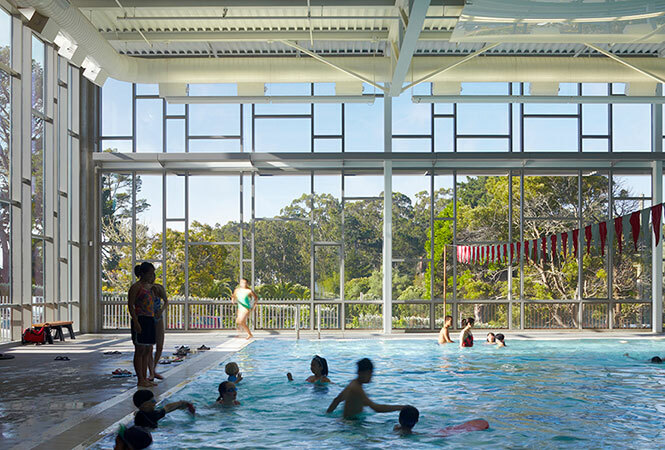 The main natatorium area provides natural, diffused day lighting and majestic views of the surrounding park and Stern Grove. Windows extend to the floor and, combined with the placement of the pool, provide swimmers with direct views to nature. 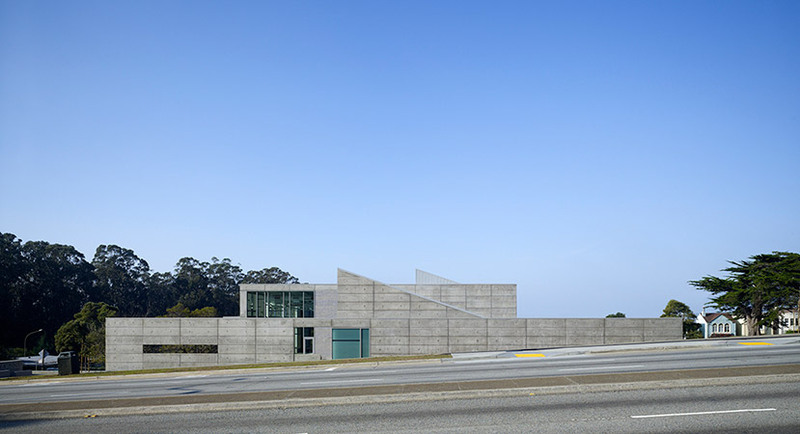 Durable, exposed concrete and aluminum curtain wall framing complement the building’s simple yet monumental forms. 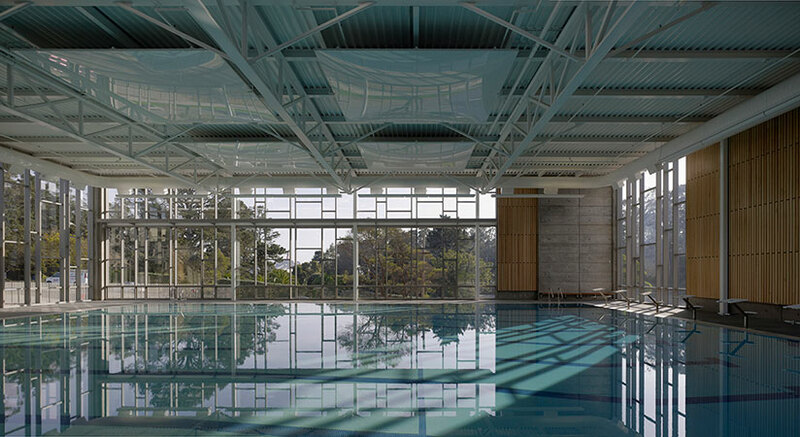 On the interior, cedar slats over acoustical baffles create a comfortable environment for swimmers while bold, blue handcrafted tiles designed by a local artist enclose pool equipment and provide vibrant color to the interior.